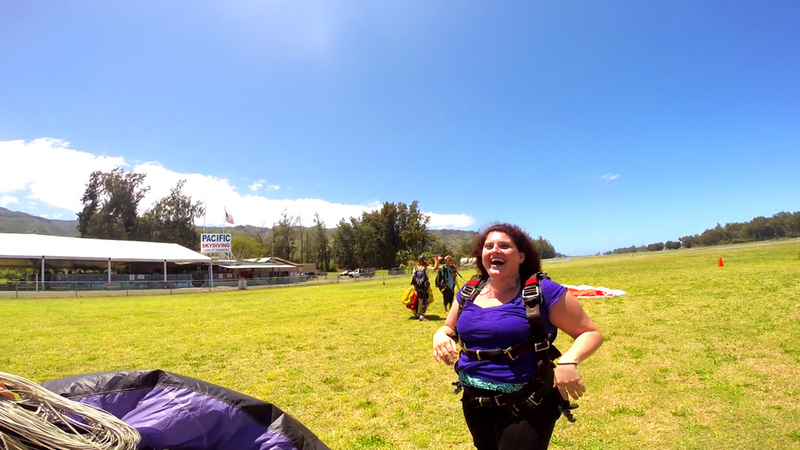 Let’s take the leap and experience the thrill of skydiving over the spectacular North Shore of Oahu! 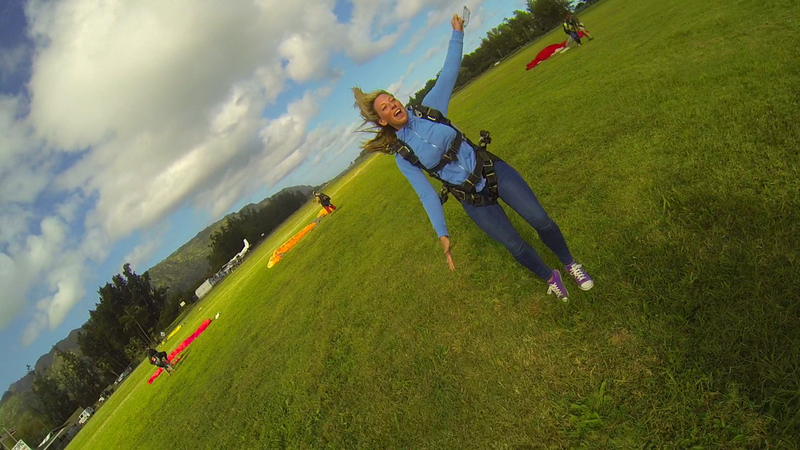 Watch this 60-second Godspeed Adventures skydiving information video! 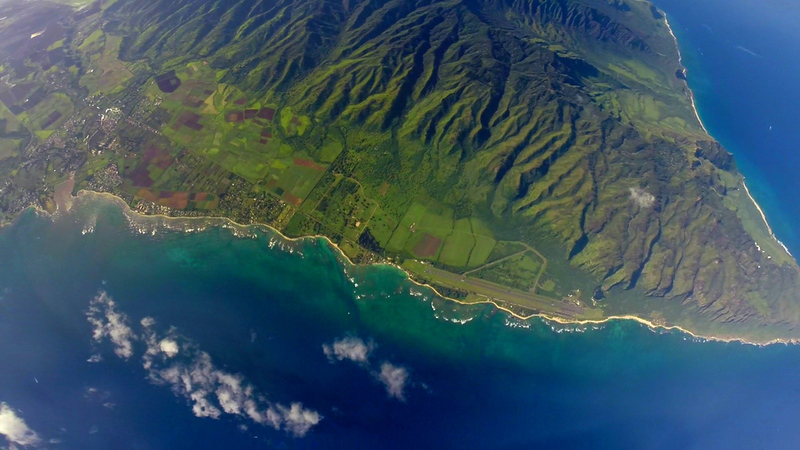 Pick-up, transportation to North Shore Dillingham Airfield and back to Waikiki. Priority V.I.P. service so you are in and out sooner and not waiting for what can typically be a few hours. 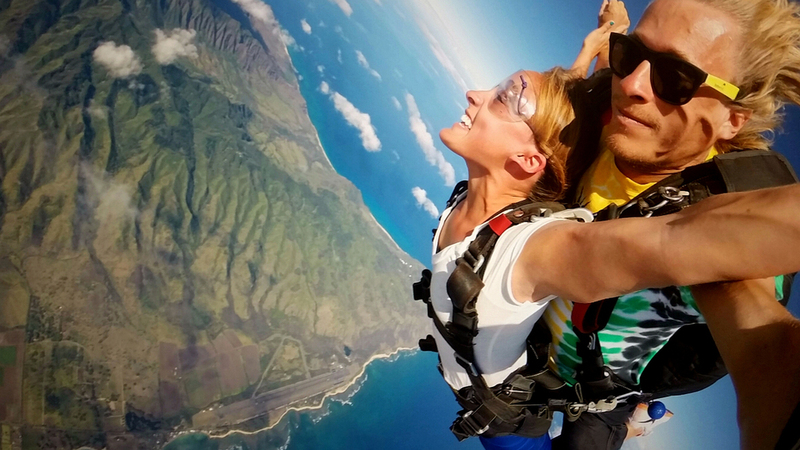 Tandem skydive from 14,000ft or higher guaranteed providing 60+ seconds of "free-fall" time. We go in the same plane and jump out with your group. *Please note that you must choose more adventures creating a "Bucket List" tour for us to guide you on your skydiving adventure. 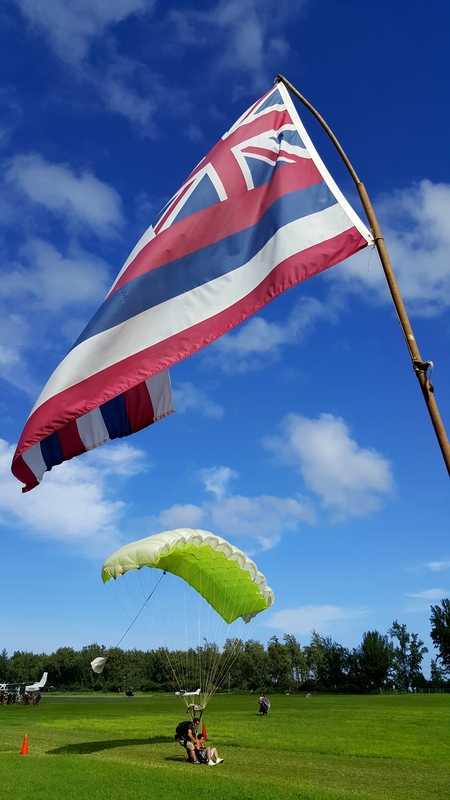 If you only want to skydive and nothing more then we can still make your appointment and send you directly there but you will need to arrange your own transportation to Dillingham Airfield. We take our adventure tour experiences VERY seriously... Our number one goal is to make sure the day we spend together is by far the most memorable and epic of all! We have a $750 per day minimum (total combined services rendered for all adventures/activities for everyone in your party) for our adventure tour services. Most of our all-day adventure tours are 10-12-hours and they are ALL-INCLUSIVE! We see/do/explore more in one day than most will in an entire week! Remember, we are VERY GOOD at what we do and nobody on this island does what we do the way we do it. There is a reason that EVERY SINGLE review on TripAdvisor, Yelp and Facebook about Godspeed Adventures is 5-STARS! We do NO advertising or marketing and rely solely on repeat business, referrals from our happy customers and people that just seem to find us somewhere online. 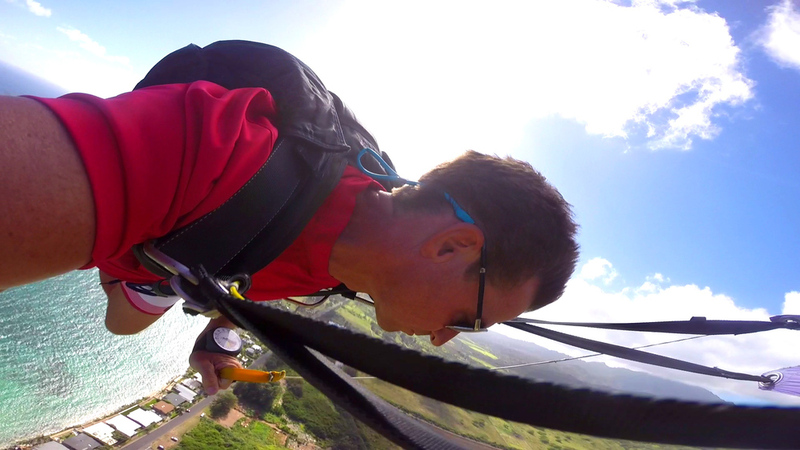 Godspeed Adventures works exclusively with Pacific Skydiving Center; the number one skydive center in Hawaii with a perfect safety record. 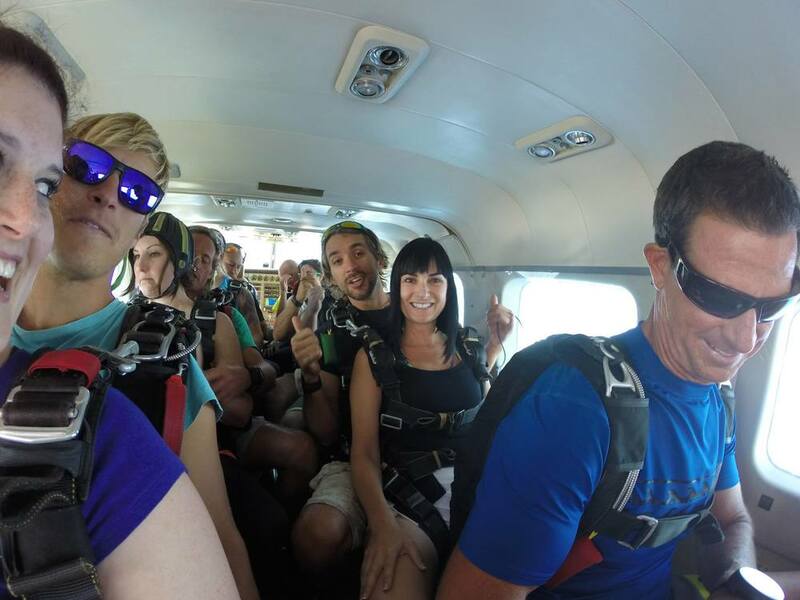 The tandem Instructor you will jump with is a highly experienced skydiver with thousands of jumps (their most experienced instructor has over 21,000 jumps!) And your Godspeed Adventures tour guide goes with you IN and OUT of the plane! The skydive exit is from a brand new, state-of-the-art, $2mil “Sky-Van” that climbs to 14,000-15,000 feet in only 12 minutes! (This is the highest you can go without supplemental oxygen). 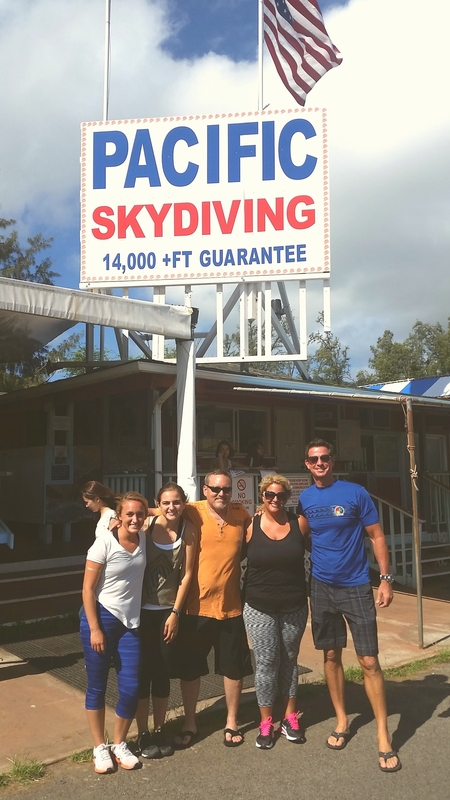 You will experience a 60+ second freefall while you enjoy the most spectacular view… This is truly the most amazing place to skydive in the world. 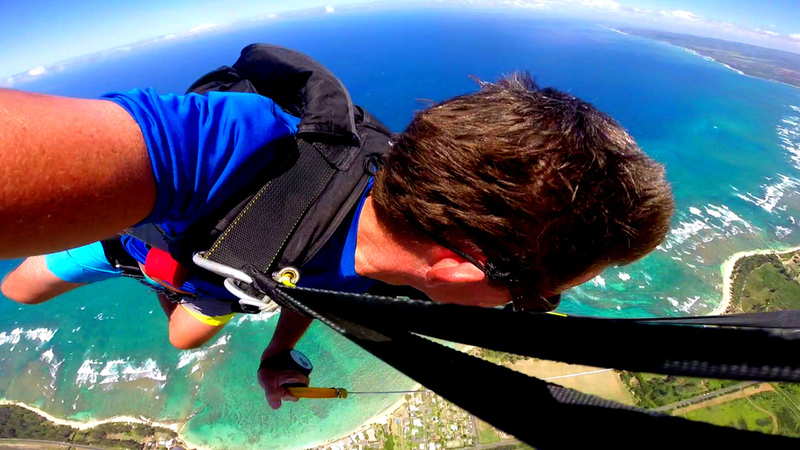 Once you or your tandem instructor deploys your parachute you will enjoy a 5-minute ride down while enjoying breath-taking views of the entire North Shore. If all goes well, you should have a smooth and safe landing. You must be at least 18-years old or older to jump. No scuba within 24-hours of skydiving. Weight limit is 250lbs. (113kg) and there is a $10 supplement for each 10lbs. over 200lbs. Q. 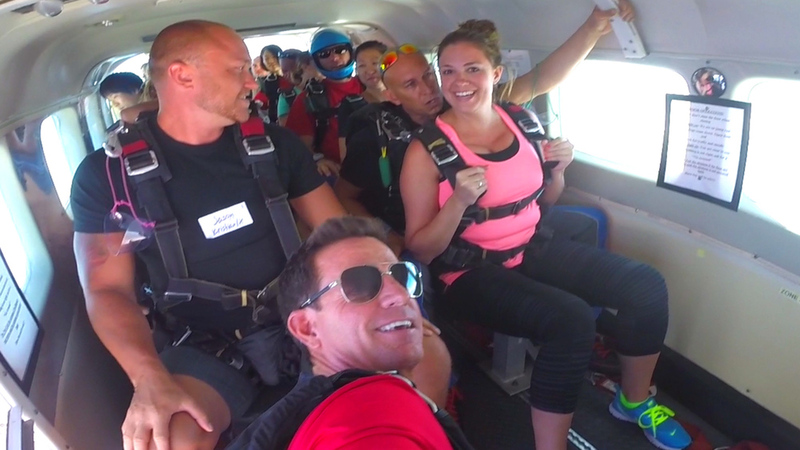 Why would anyone jump from a perfectly good airplane? A. Nothing. Skydivers have been known to wear nothing during their skydives, but you might want to wear shorts, sneakers and a T-shirt… or nothing… your call. A. No. Well, actually… YES! Skydiving is like any other extreme sport; there are inherent risks that require careful training and execution. 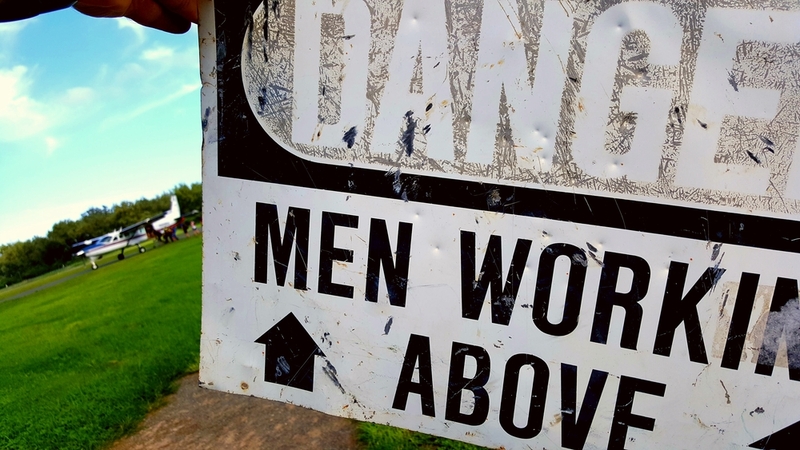 Failure to follow that training can lead to serious injury or death. 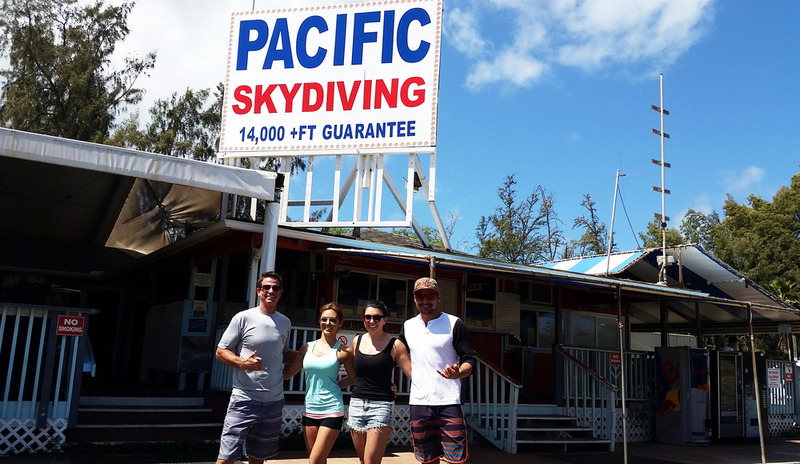 Skydiving is as safe as the individual(s) make it and can be as safe as or safer than any other extreme sport… Hey, you are on an Extreme Hawaii Adventure Tour and because there are risks; that’s what makes it exciting! Stop thinking about that and just jump! Q. Can I jump by myself? A. Sure, but not today. 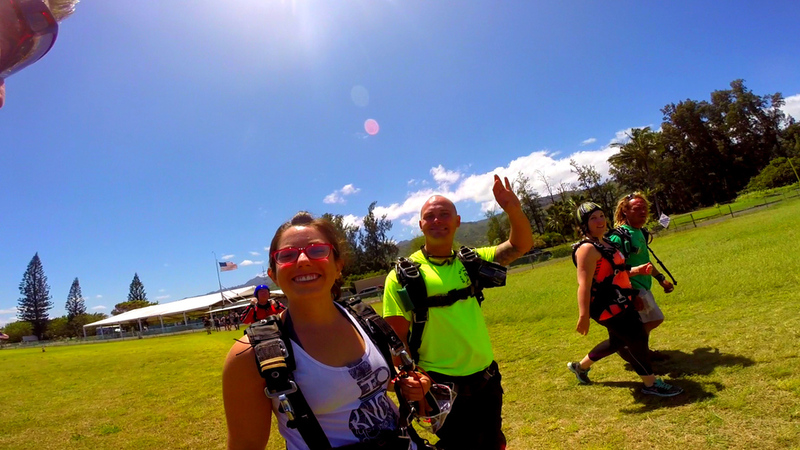 Your first and second jump must be tandem, in which you're harnessed to the front of an instructor. If you like what you experience then come back and get certified to jump by yourself very soon. Q. 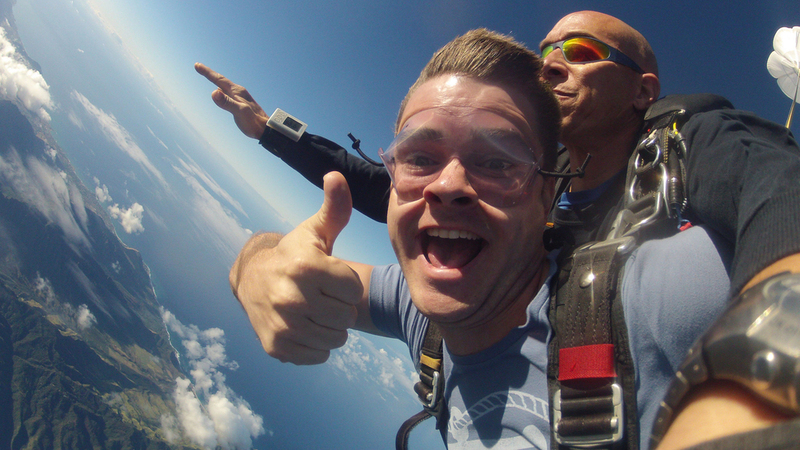 What will the skydive feel like? Q. How fast do you fall? A. The average human body falls approximately 125 miles per hour. If you are good looking you will fall much faster. Q. What's the landing like? A. Most landings are quite soft, with many people doing stand-up landings. Sometimes, especially on calm days, the forward speed of the parachute will provide you with a smooth sit-down sliding landing. If we are running behind on our tour schedule we may divert the landing portion of your skydive directly into the shark cage to make up for lost time. Let's try to stay on schedule. Q. What happens if the parachute doesn't open? A. Pray. If that doesn't work, pray harder! Although it is unlikely that your main parachute will fail to open properly, by federal law every jumper must be equipped with a main and a reserve parachute. 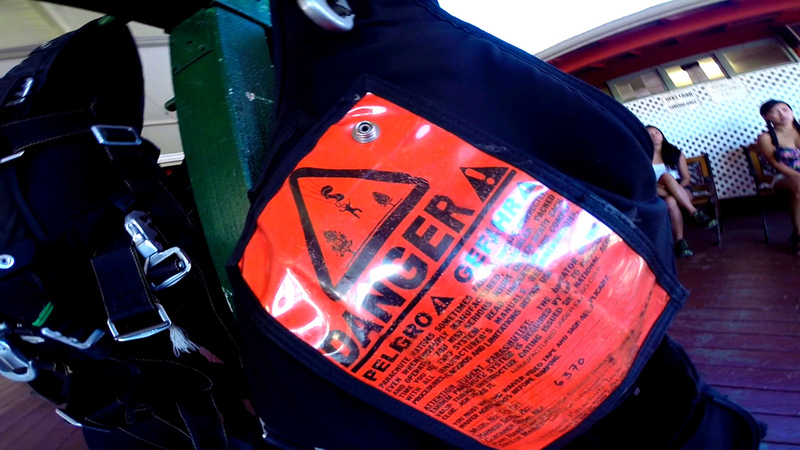 In addition, all equipment has an Automated Activation Device (AAD), which will automatically open the reserve parachute should the jumpers be unable to. Q. Robert, will you teach me to base-jump from my hotel room?